Onomie Powerful Priming Serum Review (2018): Is It Worth Buying? Onomie Powerful Priming Serum is a radiance booster and clinical skin tone corrector. This serum acts as a lightweight primer to support makeup to last longer. Also, this formula can be used as a serum by providing skincare ingredients. About Onomie Powerful Priming Serum– Does It Really Work? This product is a lightweight primer that consists of a potent blend of botanicals which gently exfoliates the skin. Also, this serum imparts a luminescent sheen. Additionally, this serum is suitable for all skin types. Applying this serum leaves the skin looking smoother and more radiant. Hence the user may have a radiant glow. This serum aids in improving the uneven skin tone and reducing the dullness. 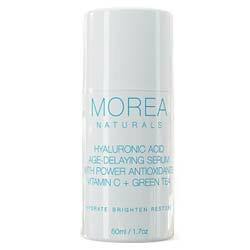 Also, using this serum aids in helping the makeup to last for long while still appearing fresh. This product acts as a serum, and when makeup is applied over this serum, it glides on more smoothly and lasts for long.This formula gently promotes exfoliation to give the user a smooth skin and to refresh the skin. 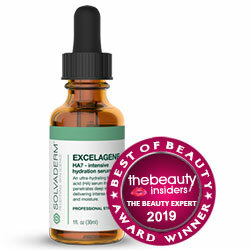 According to the reviews, this serum looks good under makeup and on its own as well. This serum contains a potent blend of antioxidants which assists in improving the skin tone. Additionally, this formula can boost the overall health of the skin. This serum is available online and each bottle costs $45. What Are The Ingredients In Onomie Powerful Priming Serum? Blackjack Botanical which increases the collagen production to improve the appearance of the skin. Daisy Flower Extract which brightens the skin tone and gives the skin a radiant glow. Willow Bark which evens the skin texture. 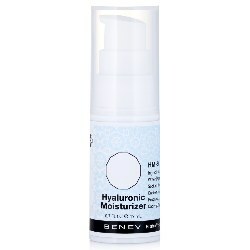 Hyaluronic acid which provides instant hydration. Squalane which increases the moisture levels. The user should clean the skin starting from the center of the face to the outward using small gentle motions. Then, the user should apply this serum and pat it into the skin to provide even coverage. This serum takes about one minute to set after which the user can apply the makeup. Reviews recommend using this Onomie Powerful Priming Serum during the day and at night time to experience optimal results. It is a lightweight formula. Prevents formation of dark spots. Protects the skin from the external irritants. Promotes the overall skin health. Does Onomie Powerful Priming Serum Have Any Side Effects? This serum is formulated using a potent natural blend of extracts which promote the appearance of the skin by boosting hydration and radiance. Onomie Powerful Priming Serum side effects can be mild to none due to the natural formula used that is safe for use on all skin types. However, it is advisable to check on all the ingredients used, to avoid the occurrence of allergic reactions. This serum contains a lightweight formula that aids in improving the appearance of the skin by correcting uneven skin tone and improving the texture of the skin. Hence, using this serum might provide the user with a smooth and soft skin. Using this serum provides the skin with antioxidants that aid in boosting the overall health of the skin. The antioxidant properties also might protect the skin from harm caused by environmental aggressors. 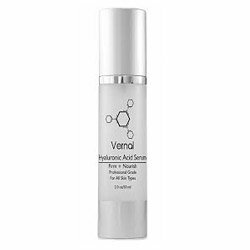 This serum reduces the dullness of the skin and provides the user with a bright skin. Applying this serum helps in naturally exfoliating the skin to increase the radiance of the skin. Additionally, this serum might aid in keeping the makeup looking fresh all day. 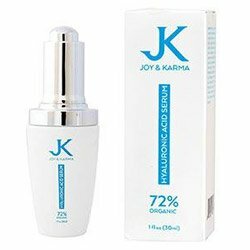 This serum is suitable for all skin types and does not contain fragrance, alcohol, phthalates or paraben hence, it is safe for use. However, the user should check on the ingredients used to avert the onset of allergic reactions. Also, during application, the user should avoid direct contact with the eyes to avoid the occurrence of any side effects to the eyes and the overall health.